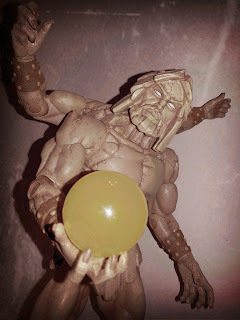 Action Figure Barbecue: Master of the Universe Classics Procrustus Review Featured on PoeGhostal.com! Head over to the now no longer updated but still fun to browse website PoeGhostal.com to check out a review of the Masters of the Universe Classics gigantic Procrustus action figure written by me, Barbecue17! If you love vintage minicomics, Ray Harryhausen's Dynamation, living statues, golems, or four armed shirtless giants , you're in luck!